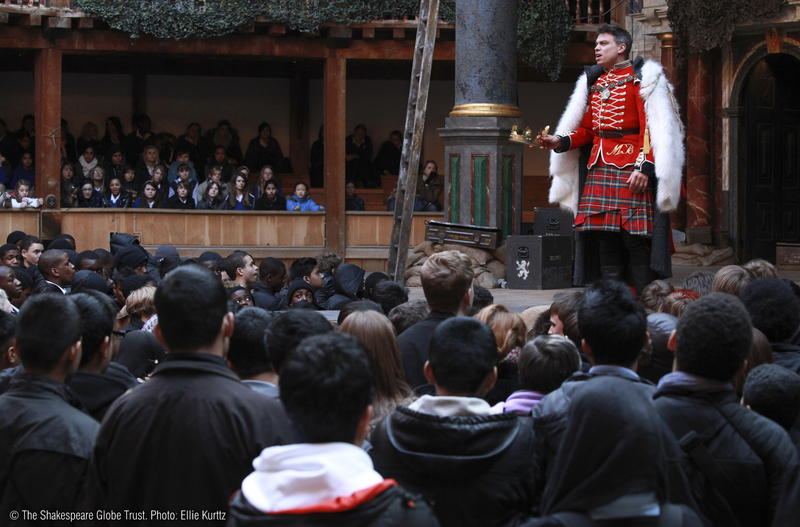 In these lessons, students will examine the key characters in Macbeth and their dramatic functions. Tasks include: exploring the motivations of Lady Macbeth; tracking characters' status throughout the play to see how and why this changes; and analysing Macbeth's 'vaulting ambition'. Can I explore the dramatic function of the witches in Macbeth? Can I develop my ideas about how the witches could be portrayed on stage? Give students the first four lines of the play to read in threes. 1 Witch. When shall we three meet again? Students can experiment with different ways of performing these lines (e.g. whispering, like a nursery rhyme, forwards and backwards at the same time). How would the different ways of performing these lines affect the audience’s impression of the witches and the overall mood at the start of the play? Share Fiona Banks’ character archetypes (sovereign, warrior, carer, trickster), which can be found in the Student Booklet. Work through some ideas for developing students’ understanding of these archetypes, including four lines selected from the play that show how each of the four different archetypes is present in the witches’ language. What insights into the characters of the witches do we gain from these kinds of activities? Students need to think about the clues (which might be a little bit cryptic!) and what they suggest about performing the witches. Students feedback to the rest of the class with their personal opinions and evaluative comments about how well they think this idea would work on stage. What do the witches represent? How would I portray the witches if I were staging the play? Students could choose one way of portraying the witches and one idea that would help them to convey this to the audience, e.g. voice effects, costume, movement, lighting. Students should record their answers in the Student Booklet. Students could research how the witches have been portrayed in a variety of other productions on the stage and in film. An additional task might be for students to compare and give their personal views on two different interpretations, e.g. in the Trevor Nunn version starring Ian McKellen and in the Rupert Goold version starring Patrick Stewart. They should justify their choice. Can I explain the dilemmas and decisions facing Macbeth? Can I analyse Shakespeare’s language to help me understand Macbeth’s thoughts and feelings in some key scenes? Ask students to think about something they really want – a coveted possession or an ambition that spurs them on. They should think of an image that represents that ‘dream’. Then ask students to discuss in twos or threes what they would do or what they would sacrifice to pursue that dream. Can they think of examples from movies, TV shows, books, etc. where characters did something risky or bad to achieve their goals? The ensuing discussion might cover: moral code; religious principles; consideration for other people’s feelings; fear of being found out; aversion to breaking the law of the land; wanting to do things fair and square, etc. Now bring the discussion back to Macbeth, what he wants, and what he would have to do to get what he wants. 1) Text detectives: who, what, why, how? Why am I saying it? Encourage students to be as thoughtful as possible in their answers to question 1. They should go beyond, ‘Well, I’m Macbeth of course’, to thinking about how Macbeth’s different identities reveal themselves: warrior, loyal subject, husband, Christian, etc. Begin by modelling the first part before asking students to continue the close analysis of the passage in question. The following three activities support students in thinking about Macbeth’s decision-making process. They also support thinking about how Shakespeare reveals a character’s thoughts and feelings in the language and structure of his or her speeches. These activities (explained more fully in the Teachers’ Guide for Macbeth) would work well with the passage mentioned above from Act 1 Scene 7 or with the ‘Is this a dagger…?’ speech from Act 2 Scene 1. N.B. Students could try out some role play about real-life situations, which could lead to some beneficial insights in preparation for this text-based activity. In groups of three, two students improvise a scenario in which one student is trying to get the other to make a decision, who is not willing to commit or decide. Then try it again, having rotated roles, so that the student being asked to decide is quick and eager to make a decision. The observer(s) should note down examples of decisive and indecisive language and body language. 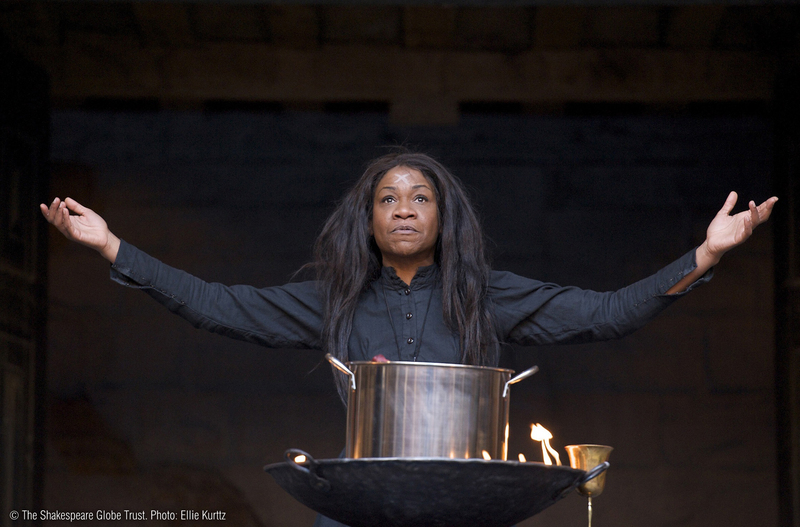 What have I learned about the dilemmas and decisions facing Macbeth in the play? What has this added to my view of Macbeth? Does my view of this change as the play goes on? On sticky notes, students should write some words, pictures, diagrams, quotations and calligrams showing Macbeth’s thoughts and feelings. 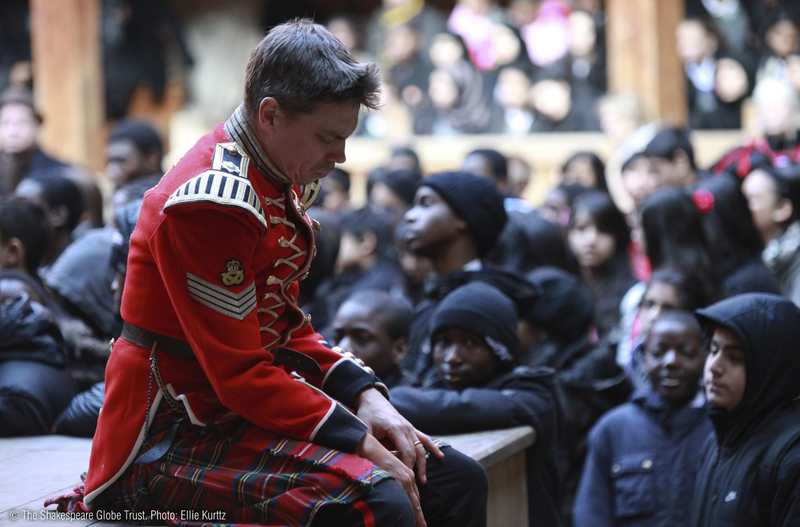 Elicit from students some ideas about how Macbeth’s thoughts and feelings change as the play moves on. Students might like to browse Macbeth’s social media profile page at 2011.playingshakespeare.org/character-and-motivation/macbeth. These pages have also been created for many of the play’s other characters. Work on Act 2 Scene 1 could be linked to further detailed work on this scene in performance in the materials from Key Stage 4/5: Text in Performance. Can I describe Lady Macbeth’s character and explain what motivates her? Can I analyse some of the language she uses to support my views? Show students an image of a phrenological chart or model. Explain what it was used for and what it was thought to show. 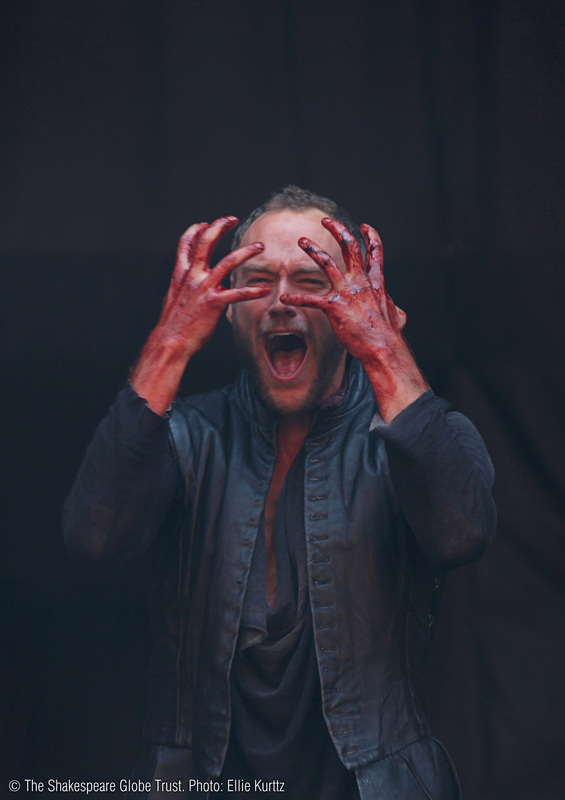 Ask students in pairs or groups of three to use this image as inspiration for a 2D or 3D image representing Lady Macbeth’s character: her thoughts and feelings, likes and dislikes, hopes and fears, memories and regrets. The more important the thought or feeling, the more space students should give that ‘zone’ on the picture or model. As an extension activity, students could add quotations to support some of their points. The sleepers of the house? speak, speak! Would murther as it fell. What do we learn about Lady Macbeth as the play progresses? What are her strengths and weaknesses? Is she responsible for her own and her husband’s downfall? Students should choose one of the points they have made about Lady Macbeth and find a suitable quotation to support it. Which word is missing from each of these Lady Macbeth quotations? This task is available in the Student Booklet. A useful activity to link to can be found in the Text in Performance section of these materials. In the activity, students sort and analyse cards showing images of Lady Macbeth from different Globe productions of Macbeth. Can I establish the status of the characters in Macbeth in relation to each other, and how this changes throughout the play? Begin by asking students what status means to them and derive from students a working definition of the word ‘status’. Surround the word with some synonyms and other connected words, e.g. power, rank, position, hierarchy, chain of command. Allocate to students different contexts and ask them to draw a diagram to show the different roles people play within that context and their status in relation to each other. Contexts could include: a school; a hospital; a family; a chain of shops; an army; a youth group, such as a Scout troop; a state; a film studio; a fashion house. What matters is to choose contexts that will be interesting and meaningful to the class. Fiona Banks describes a selection of status games in Creative Shakespeare. This game, involving a pack of playing cards, will support students understanding of rank and status in the play. This can lead effectively to discussions about themes such as order/disorder and Macbeth’s ‘vaulting ambition’. Explain that high numbers from the pack of cards denote high status, whereas a low number such as an ace denotes low status. Students will be given a playing card and should hold it to their head without looking at it. They will walk around the room for a few minutes and see how other students react to them. Finally, students should line up according to what they think their status is and then check to see the number on their card. Draw out in the ensuing discussion how status can be shown on stage. Emphasise that as well as being about someone’s title, appearance, how they speak, behave, etc., it is also shown by how others react to and behave around them. Turn to the Dramatis Personae page in the Student Booklet. 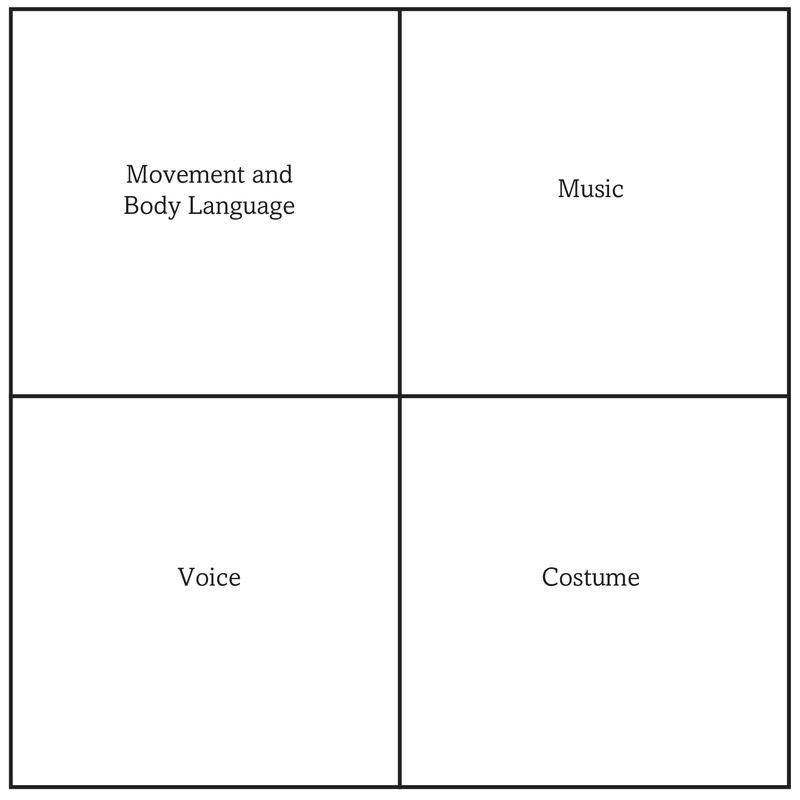 Ask pairs of students to create diagrams to illustrate the status/social class of the various characters and how this changes over the course of the play. Share observations in a whole class discussion. Show an image of Iona as a backdrop for the scene. Characters should include: Macduff, Macbeth, Lady Macbeth, Banquo and Fleance, and could include representatives for Malcolm and Donalbain who have already fled. Each group should select one student from the group to deliver the speech at the funeral which you or another student could officiate. Then show a different backdrop and imagine that the characters are at a party in Duncan’s honour and each is speaking their mind about how they really feel at this point in the play. Groups should be given a few minutes to prepare questions, before each character in turn takes the hot-seat to face these questions. What different kinds of power do characters have over each other in Macbeth? How could this be shown on stage? Social media pages for the various characters can be found on the Playing Shakespeare with Deutsche Bank microsite at 2011.playingshakespeare.org/character-and-motivation. The speeches task for activity 3 could be assessed for writing. Can I comment on whether the audience would view certain characters as heroes or villains and why? Can I comment on characters’ good and bad points and on what makes a character complex? Students could draw a line about 20cm long and put at one end ‘Character I like most’ and at the other end ‘Character I like least’. Students should arrange as many characters from Macbeth along the line as possible, and be ready to justify their choices in a discussion. Students could then repeat this exercise with ‘Character I’d most like to play’ at one end of the line and ‘Character I’d least like to play’ at the other end. Take feedback, encouraging students to consider the differences between their two diagrams. In pairs, one student chooses a hero or superhero from a story, film or TV show, and the other student chooses a villain. Both should brainstorm some of the characteristics of those characters. They should share their ideas first with each other, and then in a whole class feedback session. Leading the discussion, you should plot words on two distinct sections of a board or flipchart. Now ask students to think about characters from the play and whether they belong in the hero or villain section of the board or somewhere in between. Discuss findings. Leading on from the previous activity, suggest that Shakespeare tends to present his characters as a more believable, interesting and complex mixture of good and bad. Students should take the character outline handout in the Student Booklet and choose any one of the characters from the ‘Heroes and Villains’ activity. This time, they should be exploring the characters’ vices and virtues, using the character outline to present points that emphasise that character’s good and bad points. What are the good and bad points about my chosen character? Has Shakespeare created a believable character? Can I identify or empathise with my chosen character in any way? Self or peer assess work in progress for Challenging Roles. The ‘Challenging roles’ activity in the Student Booklet could be assessed for reading and writing.